Novak Djokovic finally broke through at the French Open winning at Roland Garros for the first in his 12th try and completing the career Grand Slam. 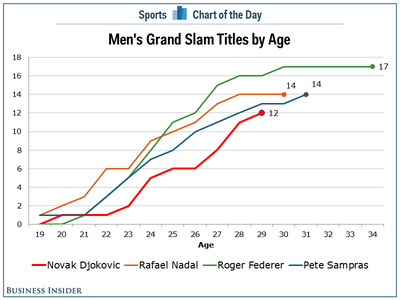 Maybe more importantly, Djokovic is now one step closer to Roger Federer’s record 17 career Grand Slam titles. For a long time it looked like Djokovic started his run a little too late to catch Federer. However, Djoker now has 12 career titles and not only is he not slowing down, he is actually picking up the pace at an age when the other top tennis players stopped winning Slams. With the win at the French Open, Djokovic has now won four straight Grand Slams and six of the last eight. He also has one Grand Slam title after turning 29 in May. 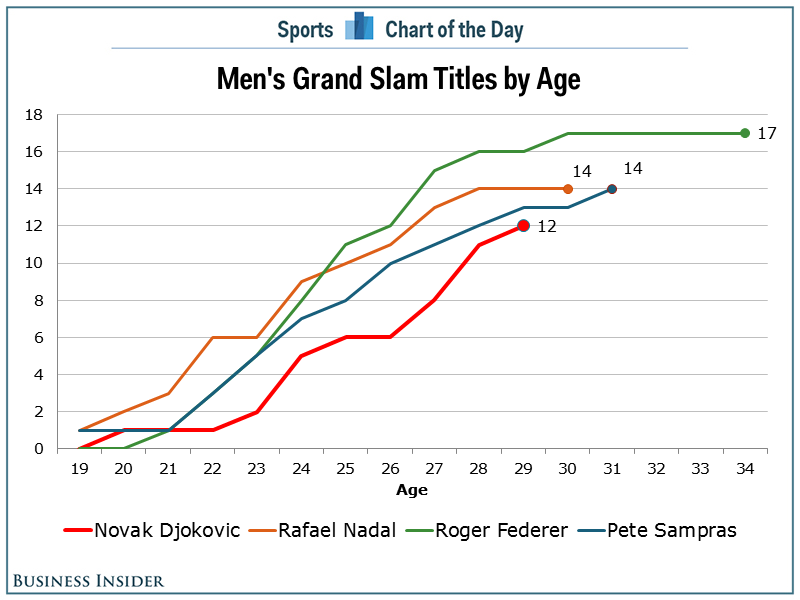 That is the same number of titles after turning 29 won by Federer and and just one fewer than the number won by Pete Sampras. If Djokovic can stay healthy, he will likely reach 17 career titles in the next 2-3 years.